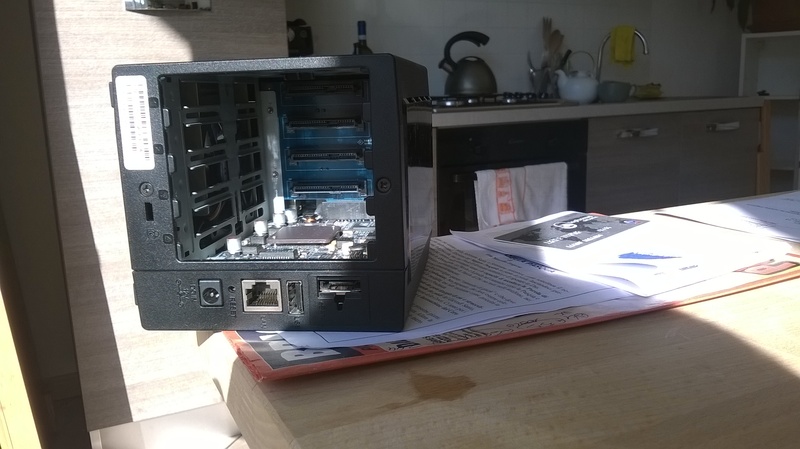 This entry was posted in Technology and tagged Synology by Marco Ullasci. Bookmark the permalink. Hi Marco I see you are very keen on mods, did you play with the DS on terminal? I need a little help from a working unit to recover my DS! Regards. yes I did work a bit with the terminal interface when the 411Slim was still alive. Do you need to recover the DS from the point of view of the software (like in a broken installation) or to recover the data stored in the disks? Mine is blinking blue no signs of life in it. After done some reading on synology community forum and test the board trying connecting via serial interface. Definitely something went wrong with the flash chip. Maybe the installation is broken because the unit is a gift from a friend. 3) install DSM from scratch on the newly inserted disk using the desktop utility. After these steps the DSM was operating again. 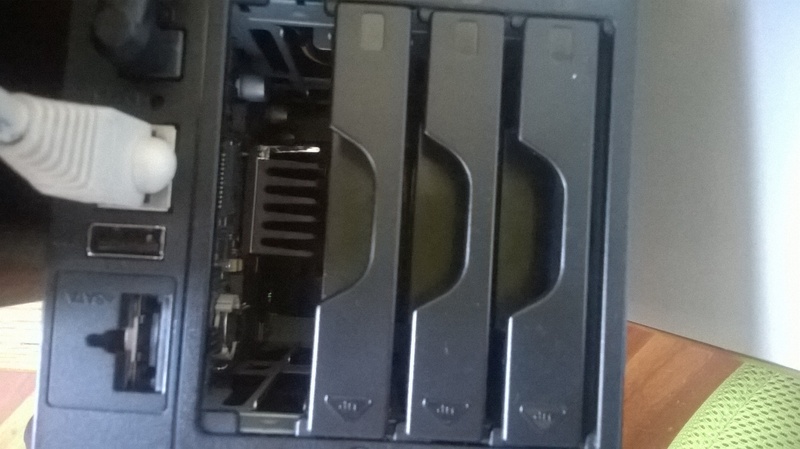 If subsequently putting back in the old disks makes the DS to fail to recover the data in the old disks you can mount them on a linux machine using LVM. 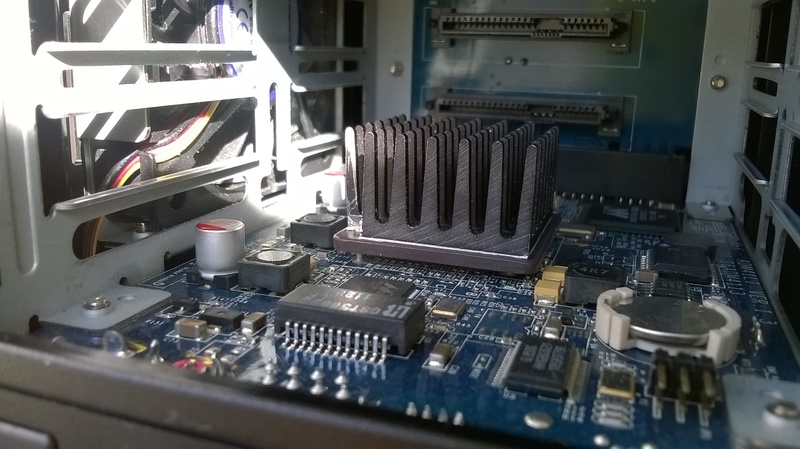 Hello Marco, Did this heatsink fix all the overheating problems for you? I’ve looked over the boot messages through serial connection, I’ve tested the memory from U-boot and came to conclusion that my unit overheats too, until the processor is blocking. 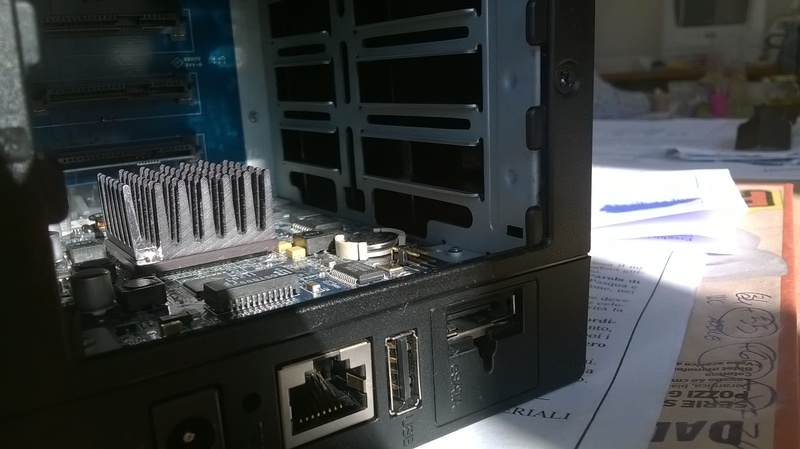 I’m thinking of applying a heatsink from a laptop with heatpipe, directly to the processor maybe that will help. I think mine has problem with the thermal paste/pad between the processor and current heatsink. 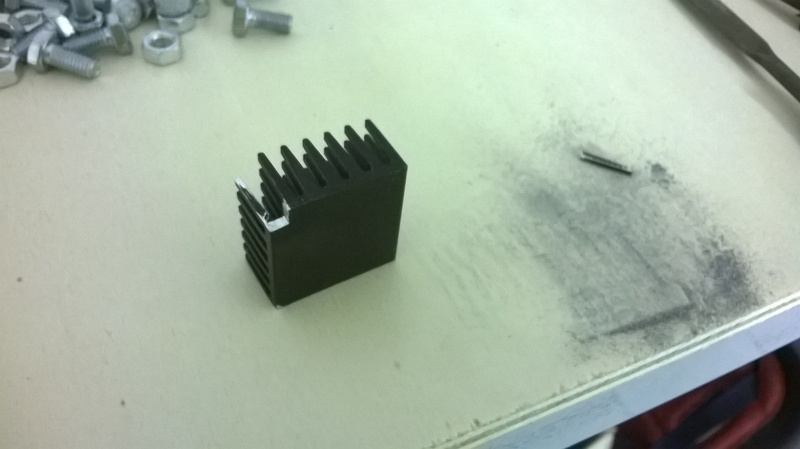 No, unfortunately the heatsink was not enough. 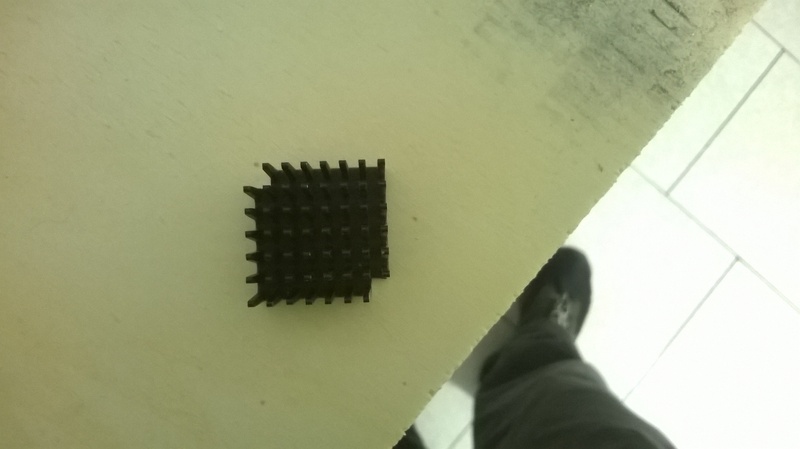 I did replace the thermal paste (the operation needed the unsoldering of the factory heat spreader) and the termal pad is doing his job: the end of the heatsink fins become extremely hot. To me it looks like something else failed in the electronic board (I guess some condenser or a voltage regulator) thus leading to abnormal heat generation in the CPU. I don’t have the needed electronics tools and skills to get to that level, but if you have a knowledgeable friend with the tools it might be worth asking him to check the voltages on the key parts of the board. Ok, thanks for the info. Then I will need to check the board again. There were no signs of burn, I’ve already checked that. Also the power supply seems good, delivering the 12 volts under load.